Fatigue is a silent killer. Research suggests that 20-30 per cent of fatal road accidents involve driver fatigue, and since its role is more difficult to quantify than speed or alcohol, even this is almost certainly an underestimate. Drill down into the data and the figures are even more startling. 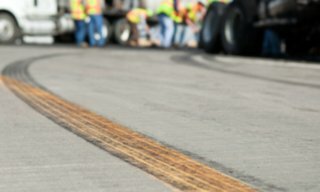 Fatigue contributes to between 40 and 50 per cent of fatal single vehicle semi-trailer crashes. The skill of a driver who has been awake for 17 hours diminishes to that of a blood alcohol concentration (BAC) of 0.05, which is the legal limit, doubling the risk of a crash. After 21 hours, skills diminish to that of somebody with a BAC of 0.15. WHAT CAN YOU EXPECT FROM TELETRAC NAVMAN? Connect drivers, dispatchers and fleet managers with real time insight and empower your team to optimise performance. You receive key information to the point of action fast, through its intuitive dashboards, automated alerts and interactive mapping. 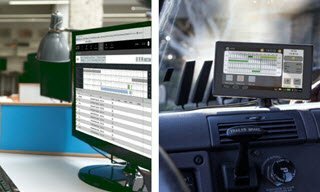 Cut through the complexity and simplify compliance management with solutions designed to meet the demands of modern fleet management. Teletrac Navman offers a comprehensive range of tools to address regulatory compliance and elevate your risk management. Promote safe driving through a single platform, reducing your fleet's on road risk. 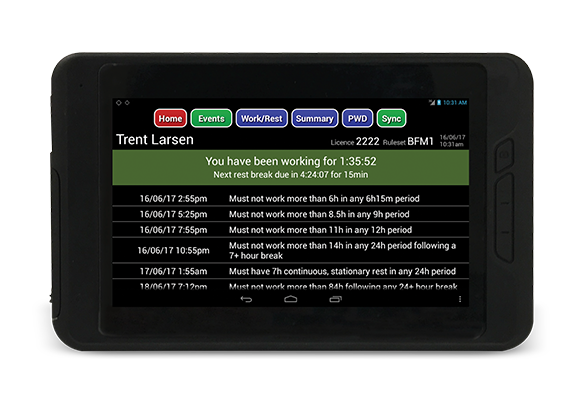 With real-time information, you can monitor driver behaviour and provide instant feedback through head up training aids.